When I was asked to review Next Year in Havana, it was a tough choice to make. It seemed so far out of my wheelhouse and I’ve had bad luck in the past with celebrity book club picks, so I had no clue what to expect from this! Since I make a habit of not accepting review requests for books I don’t expect to rate favorably, I thought on this one a little, but when I learned that the story was (at least partially) inspired by the author’s own Cuban heritage, I decided to give it a chance—and I am so happy that I did. First, let me gush a little bit about the writing in this book. I typically don’t do any sort of permanent annotations in my books, but when I found myself reaching for my fourth page tab in only three pages, I gave up and grabbed a highlighter. My friends, my copy of this book is now at least 35% pink, because it seemed like almost every single page had quotable phrases or passages that hit me in the chest with how beautiful, poignant, or outright powerful they were. I really want to read this now! Your review makes it sound so wonderful, and like a book I’d really enjoy as well. Wonderful review! Thank you so much, Jolien! It’s incredible – I hope you love it if you pick it up! I looooooved this one. I agree; the writing was stunning, and I loved how much politics played into the story. And I LOVED how vivid the setting felt– it made me want to visit Cuba even more than I already did! Wasn’t it fantastic? ♥ It’s one of those books that I just can’t seem to get out of my head. I’m so glad you loved it, too! Wow this book sounds fantastic and right up my alley! Thanks for the awesome review! Thank you, Kristin! It’s such a great read. I hope you get the chance to check it out! Wonderful review, Destiny! I am so glad that you took a chance on this one and loved it! Thank you, love! It was soooo good. I highly recommend it! 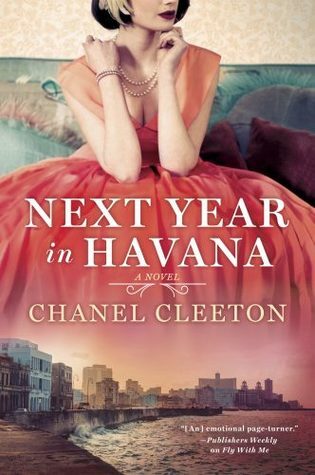 I loved Next Year In Havana, I found the writing so evocative! Wow I am convinced! I usually never put books immediately on my TBR to try not to overload it but being half Cuban, I need to read this! My grandparents were Cuban and my Dad is Cuban so I definitely need to get this in my hands ASAP!